In these trying times it’s nice that we can still rely on certain constants, such as gravity, the almost unbearable hotness of Idris Elba and the fact that Android OEMs will find a way to screw up security if it’s the last thing they do. Yes, The Verge’s Vlad Savov reports that Android’s trust problem isn’t getting better. Published today, a two-year study of Android security updates has revealed a distressing gap between the software patches Android companies claim to have on their devices and the ones they actually have. Welllll, now, just wait a sec there, pardner, because The Macalope clearly remembers hearing how Android had surely fixed fragmentation as long ago as 2012 and, just a year later, Google executives were protesting that Android was more secure than iOS. Admittedly, to raucous peals of laughter. But, still, the dude said that. Of course, you can’t hold Eric Schmidt responsible for the things that come out of his mouth. You simply can’t. His mouth is apparently inhabited by a wrongness demon that compels him to say things that are laughably incorrect. Yeah, it’s a thing that happens. The Macalope heard they get in there if you eat a bad batch of fugu, but that part may just be an urban legend. The demon part isn’t, of course, because we just have to look at Eric Schmidt. Anyone remember this gem he said in 2011 about Google TV? The Macalope had entirely forgotten about Google TV. He had to look it up to find that it was discontinued just three years after Schmidt’s mouth demon forced him to make that proclamation. Your phone’s manufacturer may be lying to you about the security of your Android device. In fact, it appears that almost all of them do. …Facebook is the least-trusted big US tech company, and Android might just be the operating system equivalent of it: used by 2 billion people around the world, tolerated more than loved, and susceptible to major lapses in user privacy and security. 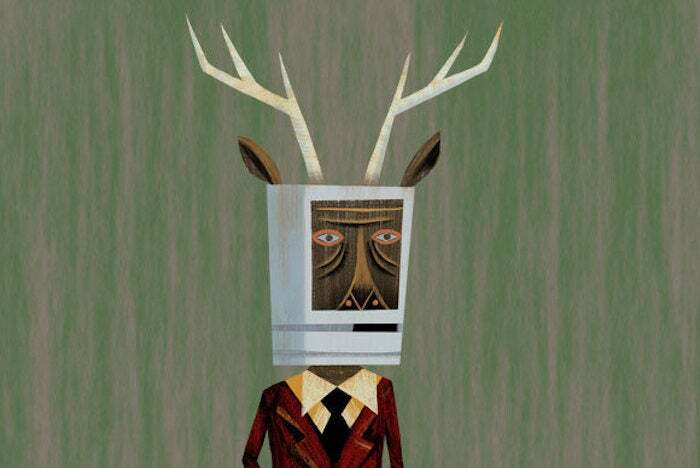 The Macalope would say we’re very disappointed in you, Android OEMs, but really we’re just too exhausted with this issue to feel anything anymore. Android is perceived as untrustworthy in large part because it is. Of course, phones from Samsung and Google aren’t the big problems here. They were reported as missing zero to one Critical and High severity patches. But all those up-and-coming, sure-to-be-iPhone-killers are serious problems, something to look for the next time you read an article about how Apple is doomed by Brand Z phones that are just as good as iPhones and cost way less. Just kidding. You’ll be wasting your time.